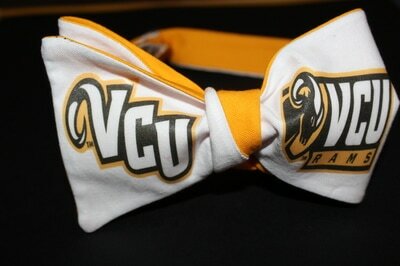 Click here to go to other college bow tie! 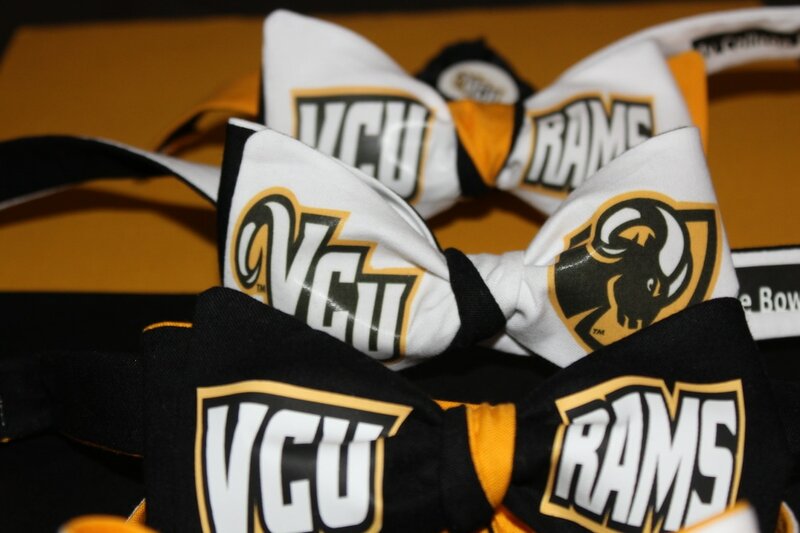 Show your school pride! 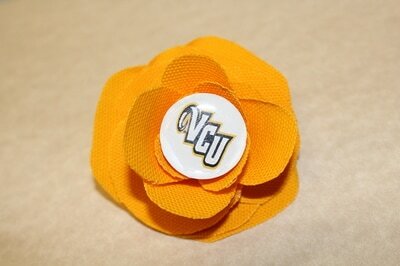 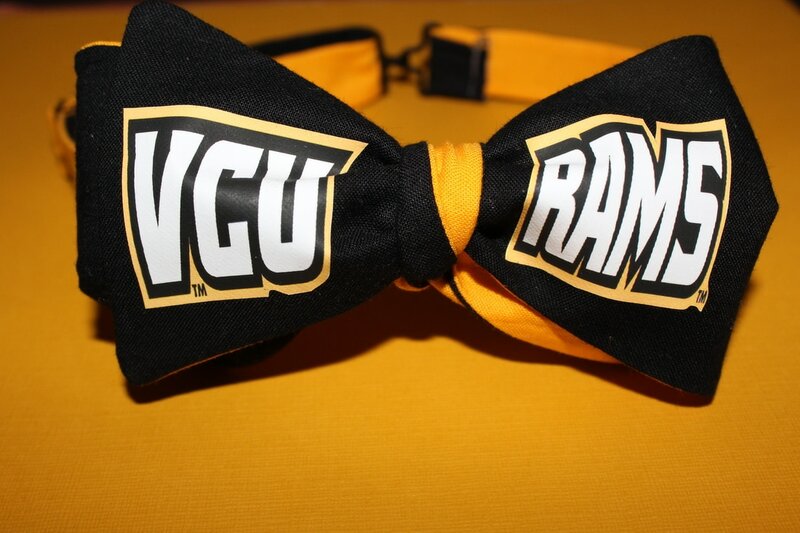 We all love VCU. 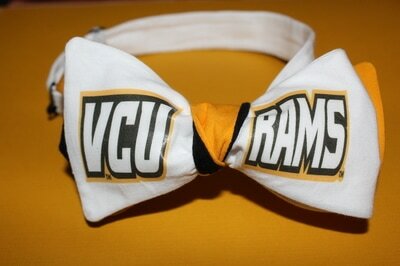 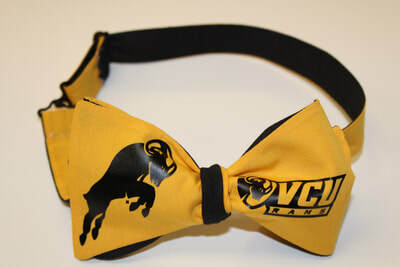 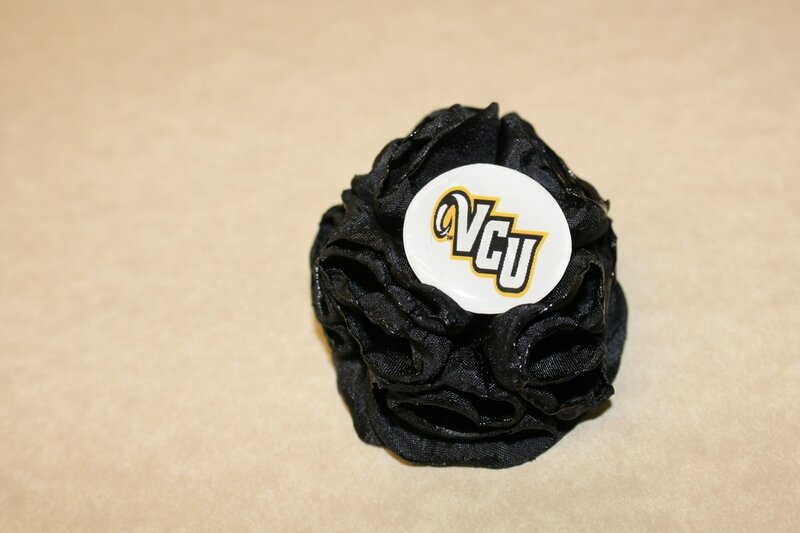 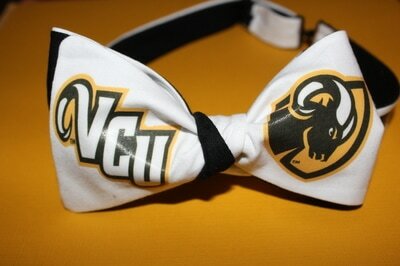 Get your custom VCU bow tie with large logos. 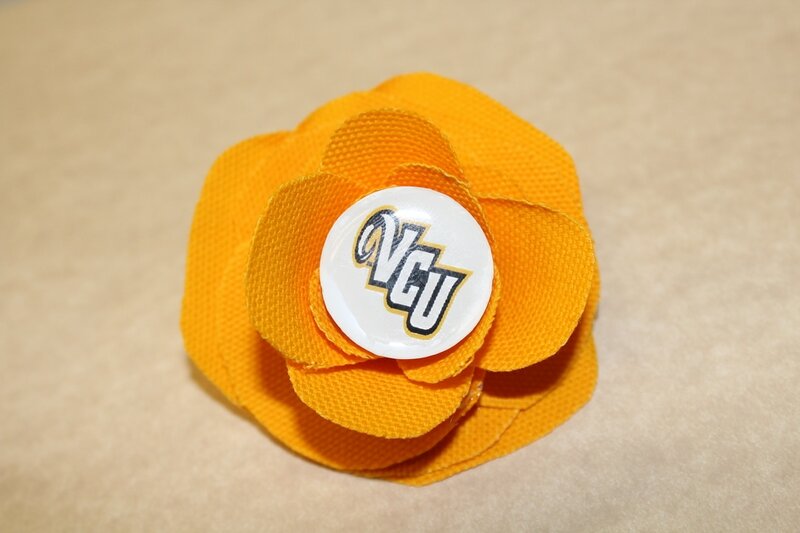 The flowers can be worn on a suit and vest for men. As brooch, hair clip or on a scarf for women. Bow ties come regular or pre-tied. 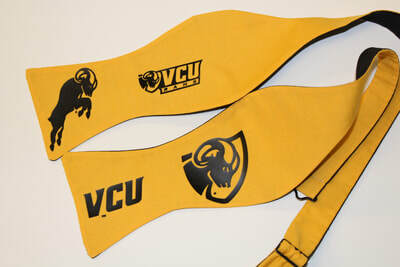 The logos are protected marks of VCU and Mr. Klean Kut has permission to use them.